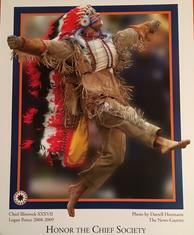 Chief Book, complete with photos and interviews of former Chief portrayers prior to 2007. 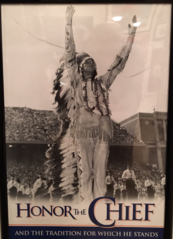 Show your Chief support on the road with this bumper sticker from HTCS! 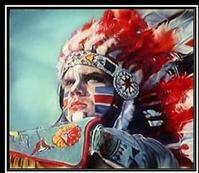 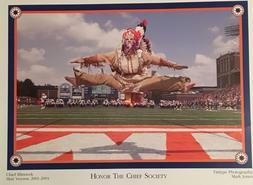 Former HTCS President Roger Huddleston narrates this beautiful tribute to the Chief tradition. 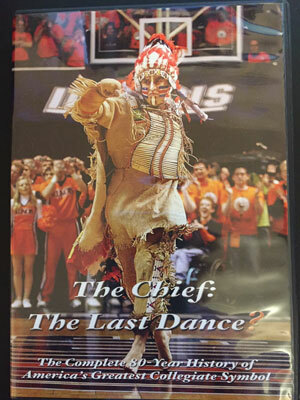 DVD - "The Chief: The Last Dance "
Learn more about the logo in the "History" Tab! 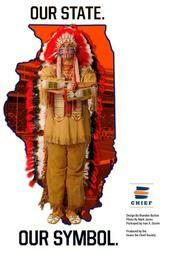 Show your support of the Honor the Chief Society with our logo lapel pin! 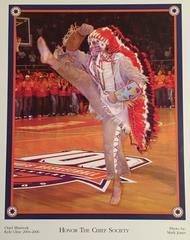 Sometimes known as the "Lobster Chief", this pin captures the chief in the classic Alma Mater pose! 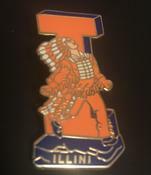 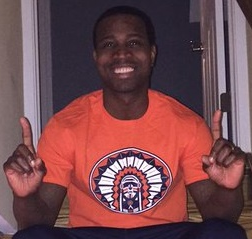 Honor the Chief and the Illini tradition with this pin, featuring the Chief in action! 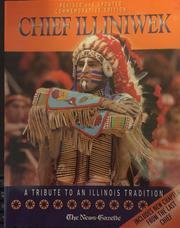 Chief Pin - Over Block "I"